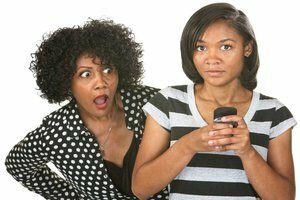 Are Today's Parents Too Overprotective? There’s now consensus among social scientists that children in developed countries have never been safer. But the new normal is a growing pattern of overprotection that I’ve seen emerging as one of the thorniest clinical issues for therapists because it can look so reasonable. Rather than insisting that parents change their behavior and supervise their children less, I focus on how they can give their kids opportunities to experience the manageable amounts of risk and responsibility needed for success. I had the pleasure of attending the Brainspotting seminar with David Grand today. What fresh and amazing information! I am drawn to anything that involves the brain because it brings the scientific information I need to the often less concrete world of talk therapy. Brainspotting is a process by which the client can access encapsulated trauma or other mental health issues without using extensive "talk therapy." Knowing that clients can often get wrapped up in telling stories, accessing the information using BSP gives clients another way to process their distress without going too deeply into the narrative. I also appreciated that BSP is exceptionally client-driven. Therapists are encouraged to "be the tail of the comet." The client, BSP teaches, "is the head." While not all overprotective parents are as extreme in their behaviors as Shyam (indeed, few experience themselves as being obsessive at all), many middle-class families are struggling to decide how much protection is the right amount, even when their children are showing signs of anxiety and rebellion as a result. Whether these families are my clients or my neighbors, overprotective parenting appears to have become the rule, rather than the exception, in today’s world.